Many cooks swear by their convection ovens for just about everything they bake or roast. What's the difference between a regular oven and a convection oven? In a convection oven, the fan and exhaust system blow hot oven air on the food and vent it back out. One way to think about it is to compare it to the wind chill on a cold day. If you're outside on a cold day and the cold wind is blowing on you, you will feel a chill more quickly than if there were no wind. Here's an example of how convection works inside the oven. Imagine a standard oven with three racks of dinner rolls, all the same size. You know the rolls on the bottom (closest to the heating element) will brown first, and quickly. You also have to keep an eye on the top rack, because heat rises and could burn or singe on top. The middle rack of rolls will cook fairly evenly by comparison. But with convection cooking, an integrated fan circulates the hot air around and across the rolls, cooking them all evenly and all at the same time, and in less time than in a standard oven. Generally, convection cooking takes three-fourths the time of standard cooking, and, as a rule of thumb, at 25 degrees lower. 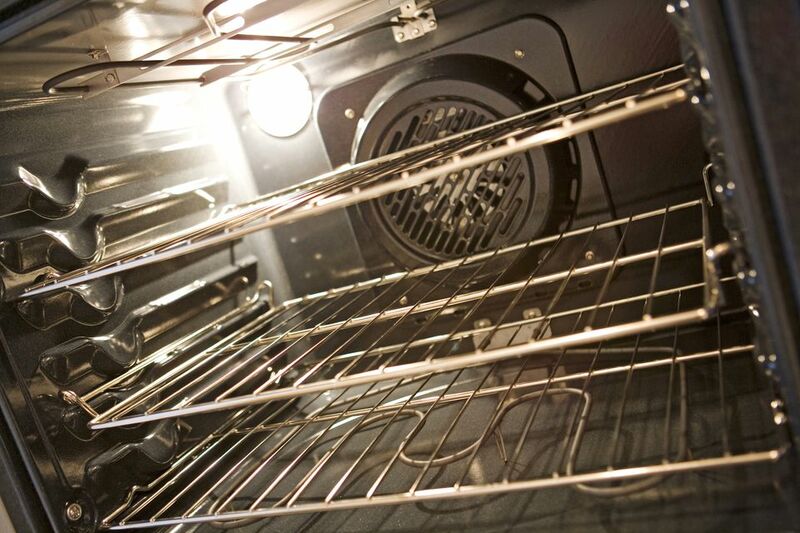 A good convection oven will have three heating elements: top, bottom, and rear, with a fan connected to the latter. As the oven pulls in outside air, it's heated immediately and circulated. With meats and poultry, that gives you amazingly even cooking and perfect browning while retaining the meat's moisture. The results are even better with baked goods, like our imaginary rolls. The airflow draws the moisture out of the breads, cakes, and cookies, giving you even baking and good texture: flaky crusts, crisp pastries, and light, fluffy croissants. When buying a convection oven, look for that third heating element. If there are only two, you won't get the optimum results. In addition to cooking many foods in a more optimal way, convection ovens (or an oven with a convection setting) also save energy, since you don't have to raise the oven temperature as high for the same results. When Should You Not Use a Convection Oven? While the even distribution of heat and continuous hot air may seem ideal for any cooking situation, there are a few circumstances when you might want to rely on your oven's "regular" setting. Anything that has to set in the oven, like a souffle or a cake, which start out in liquid form and bake to their solid form, is not going to be helped by convection. The hot air blowing on these dishes may create uneven or lumpy results, and may not allow the food to cook all the way through. For a covered dish that won't be affected by hot air blowing on it, it's the baker's choice of whether to use the convection setting or not. You'll likely get the same result either way. What Is a Chinois Strainer?